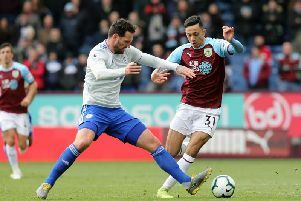 Burnley came in for criticism from some quarters last season for spending money on the redevelopment of their Gawthorpe training ground, which they could have spent on the playing staff. Sky Sports pundit Graeme Souness was one vociferous opponent in particular, feeling the priority should have been survival in the Premier League at all costs. Speaking in November 2014, Souness said: “Burnley may have a fantastic training ground in a year’s time, but that’s not going to help Sean Dyche. “I think Arsene took it forward, built his own version of it, Sir Alex did it too. “I’m not suggesting I’m trying to do that at Burnley, but the club is absolutely important. “As well as being a manager, managers are custodians for whatever period of time, and I know for sure in my current period of time that this club is in a whole better place from when I got here. Burnley were ultimately relegated from the top flight in the summer. But, after getting the go-ahead for the £10.6m project, Dyche insists it was more pertinent to invest in the long-term future of the club, rather than short-term gain. Dyche said: “You’re damned if you do, damned if you don’t. “Unless you’ve got sugar daddies who can do everything all at once and pay themselves back over time, which we haven’t got. “It has to be done in a balanced fashion. “On the pitch demands and off the pitch demands all lead to a bigger-picture future, and there has to be a balance. Work began on the project last week and will, within 18 months, house all players in a new, dedicated new training centre for the first time. And the new facility, which also includes new pitches constructed by a third party – taking the total cost of the compete redevelopment to £10.6m – will now be known as The Barnfield Training Centre. Dyche was delighted to get the go-ahead: “We thank all of the governing bodies that have been involved because we understand it’s a complex process. “For the immediacy, fantastic news, but also for the longevity of the club. “If you look at all levels, particularly the Premier League going into the Championship, mainly because of the increase of finance, most clubs have a real base. “It’s been here, but the club has kind of outgrown this facility now. “If you want to include the development team, the Under 18 system, you do need more than what’s here. “The pitches are key, and on top of that is a facility that can house the people properly and allow the club to build for a longer term future. Dyche added: “The pitches are already very good. “Beyond that it’s the facility, to get everyone in a main hub of a training ground and have a real good feel factor is something to really look forward to for all concerned. “It opens up a lot more possibilities than just for the football club, and good use of the land mass as well. “The pitches have been down there for years and years. The rest of the area is left to be what it is. “Now actually using that area for a main reason is good use for the land. Anthony Fairclough, Head of Commercial Affairs at Burnley Football Club, added: “We are delighted to finalise this deal. “It represents a major investment into the club and is a great foundation to build on for the future between our two great companies. “Although the build will be complete in 2017, the naming rights for the new training facility start immediately and will now be known as ‘The Barnfield Training Centre’, seeing our relationship carry through to at least 2020.